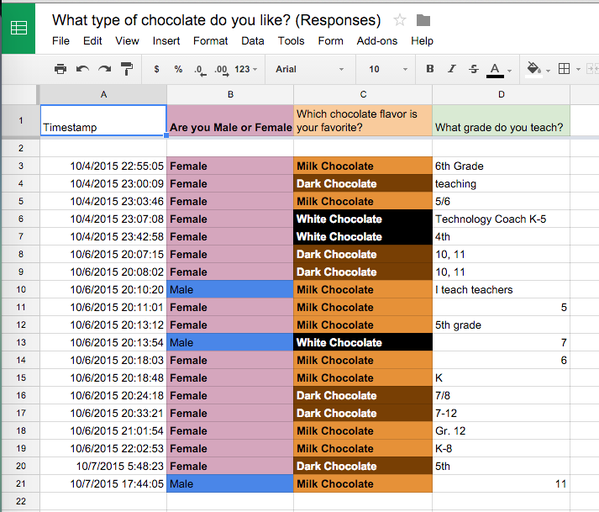 I’m a visual learner and like using conditional formatting to add color to Google Forms Spreadsheets. The Google Form Spreadsheet collects the data obtained from a Google Form. Thanks to the colorization capability of spreadsheets I can start accessing the data before creating charts and using equations.